Bullet Bills are Bowser's favorite form of ammunition, and boy are they hard to beat! 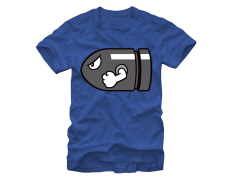 But there's one Bullet Bill that Mario and his fans don't need to fear: the Nintendo Mario Bullet Bill Royal Blue T-Shirt. 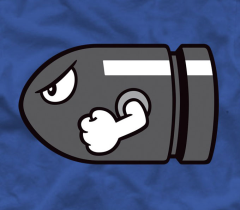 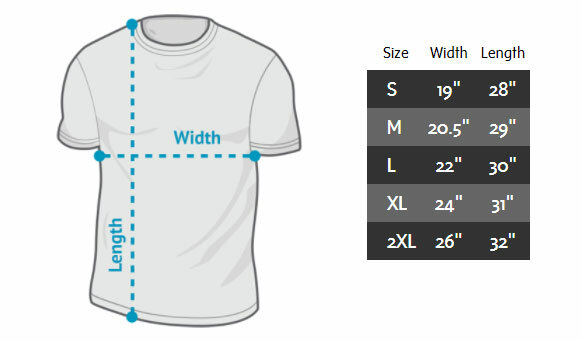 This cool Nintendo graphic tee has Bullet Bill printed front and center. 100% Cotton.